This volunteer archaeology project helps with the discovery, digging and cataloguing of important historical sites. Romania has a range of Neolithic, Roman and Medieval settlements to explore. Our archaeology project is based in the region around Deva, in Transylvania. You can improve your knowledge and skills and help fellow professionals with their work. How can volunteer archaeologists help in Romania? Producing detailed drawings of the individual pieces. Comparing them with other artifacts. Helping to restore them where possible. Write and publish studies about digs or artifacts that you have studied or otherwise worked on. Publication can either be done online, in magazines or in newspapers of archaeological interest in Romania. Prepare and present workshops for other archaeologists and archaeology or history students. These workshops would preferably focus on your specialist area of expertise, e.g. restoration, archaeological anthropology etc. This project covers a wide variety of different archaeological sites. Therefore, the exact site you will be working on depends on what is available when you arrive. We work on Neolithic sites in conjunction with the Romanian National History Museum. This involves one of Romania's leading archaeologists, Professor Dragomir Popovici. 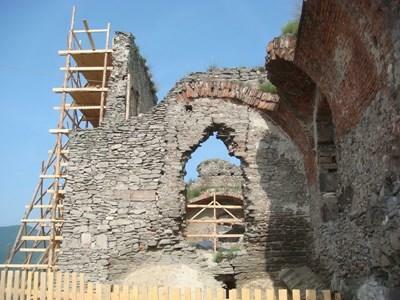 Our Roman sites are based in the Alba Iulia district of Deva. Here we collaborate with the Archaeology Faculty at Alba Iulia University and with the local museum. Finally, our Medieval sites focus on digs in various parts of Transylvania. This is a mixture of salvation digging and searching for information to help with restoring medieval structures. These digs are led by a local specialist, Dr Daniela Marcu. The project runs from April/May to the end of October. You decide how much time you can spare and we will help you get the most out of it. 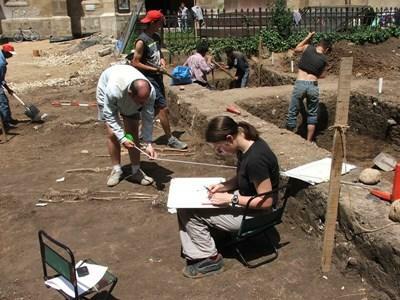 This project will give you the chance to work on exciting and important archaeological sites. You will be able to contribute to on-going work and help with new discoveries. You will work alongside well-respected professionals who will want to share ideas with you. You will also get the chance to work in local communities, sharing your passion for archaeology. You will spend time in local communities, learning about a new culture and way of life. Staff and local people will want to hear about your life back home and your family and friends. We call this ‘cultural exchange’ and we think it helps our volunteers gain a new perspective on life. Safe accommodation with fellow volunteers close to the archaeological site. If you have completed at least a Bachlors Degree in Archaeology then you are perfectly suited to this project. If you are interested in this project but don’t have the relevant experience, then please read about our regular Archaeology project in Romania.